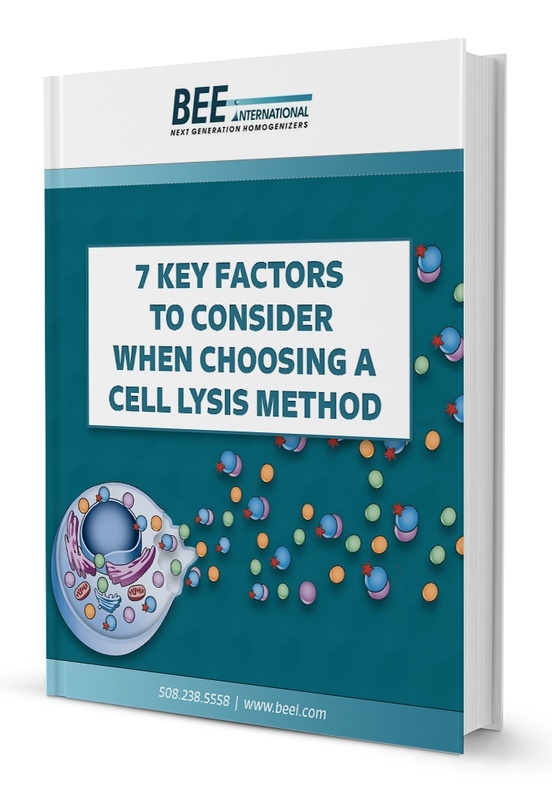 7 Key Factors to Consider When Choosing a Cell Lysis Method - Download Now! Every day, life science researchers conduct cell lysis in order to disrupt parts of the cell wall, and extract organelles, proteins, DNA, mRNA or other microorganisms. However, despite the vital importance of cell lysis for research purposes in biotech, pharmaceutical, food, cosmetic, chemical, food and other industries, many common cell lysis methods are incomplete -- which leads to wasted time, excess costs, high risks, and can even undermine the entire research effort altogether. The ebook contains practical, clear facts and insights for live science researchers and laboratory managers who want to improve existing products, enhance efficient manufacturing processes, and achieve remarkable results for new innovations.